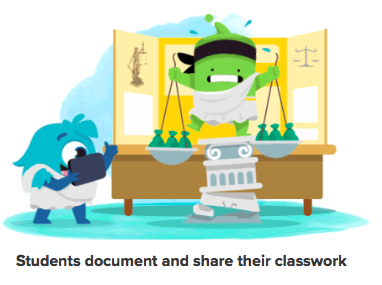 *ClassDojo Portfolios is live and FREE for all teachers!!! ClassDojo the widely used (free) tool for behavior management and communication for education now offers digital portfolios. ClassDojo Portfolios is a great and safe way for students to share digital stories, projects, classwork, etc. Best of all, this is done through the innovative ClassDojo app/web interface where the teacher moderates/approves all of the their student's work and the parent sees only their own child's work. Students take the lead - students can share and celebrate their learning by snapping photos of projects, taking videos of presentations, and writing reflections. Work is shared, not stored away - rather than being stashed in desks or stored in boxes, work is shared instantly w/ parents sparking hours of conversations at home. 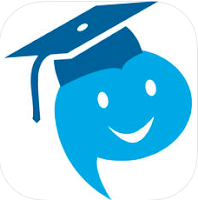 All communication in one place - parents, teachers, students, and school leaders on ClassDojo can now use it for all communication between home and school. Perfect for shared device classrooms - no need for every student to have their own device; Student Stories can be used on one device shared by all students in the classroom. Closed platform creates a safe space for sharing - a student's Story can only be seen by the teacher, and that student's parents. I highly recommend checking out ClassDojo Portfolios by clicking here!!! *ClassDojo is an advertiser of Technology Tidbits. It's the time of year again for my favorite annual sites and apps. Again, this years list sees a lot of tools for STEM that focuses on programming/coding. 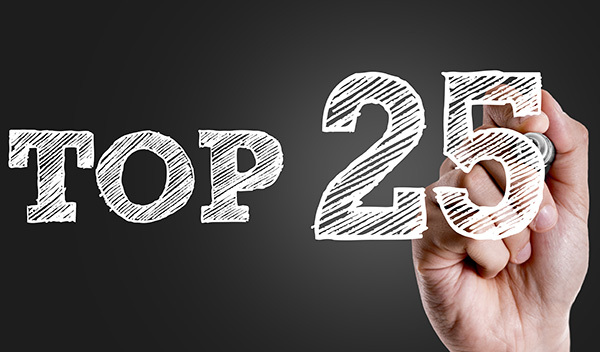 As w/ any of my previous annual top lists, all tools listed in previous posts will not be eligible for this years'. YO Teach! - With Today's Meet shutting down this year, Palms created a very user friendly tool for creating a "backchannel" that can be used in any number of ways in education. 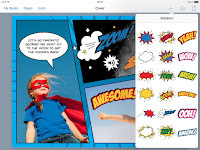 Book Creator - A fantastic mobile (iOS/Chrome) app for creating stunning eBooks/presentations, that can be used for digital storytelling, project based learning, and more. Think Fluency - A wonderful iOS/Google Play app for assessing a student's reading fluency. This is all done w/out the user of paper, provides instant real-time feedback, and saves teacher's valuable time. Dystopia 2153 - An innovative new site that teaches programming/coding through the use of game based learning and graphic novels. Night Zookeeper - A excellent new free writing tool filled w/ interactive lessons as well as an educational portal to help teachers track and monitor student progress. Hippo Video - One of my favorite sites around for creating digital videos that can be used to "flip" a classroom or create explainer videos. TypeTastic - The best site around for student's K-12 (w/ educational portal) learning how to type/keyboard. 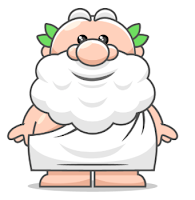 Socrates - A cutting-edge new site where educators can seamlessly differentiate instruction through game based learning. 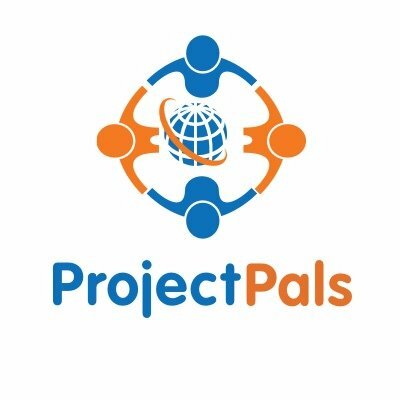 Project Pals - A great all-in-one collaborative learning platform that is ideal for project based learning. 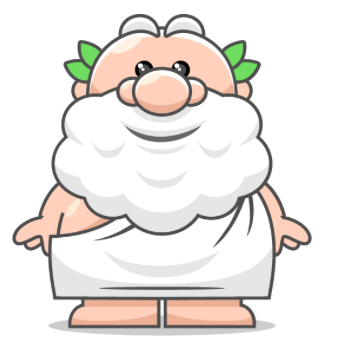 I Know It - One of my favorite new free sites around for Math grades K-5. Best of all, the educators can assign lessons and track student progress. Oodlu - A excellent new site/app for creating games that lets parents or educators track student progress. 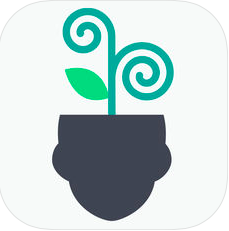 Klassroom - A free mobile (Android/iOS) that reminds me of a cross between Remind and ClassDojo, where educators can share: photos, videos, or documents in a secure environment. Badaboom - A new game based learning tool (similar to Kahoot) where educators can make quizzes/games to assess student's learning. Edji - An innovative new site for annotating texts for collaborative learning. Elementari - A fun site for digital storytelling and project based learning where students can create: digital stories, portfolios, or choose-your-own adventures. There is an educational portal in the works for easier student tracking/management. Codemoji - A cool new sites where grades 1st-8th can learn how to program/code through the use of emojis. Pixorize - A intersting site for US History that reminds me of ThingLink where students learn facts through the use of pictures. Reading Racer - A wonderful new iOS app that uses speech recognition to assess a student's Reading ability/comprehension. CodeCombat - A fantastic way for educators to teach programming/coding through an innovative game. UMU - A excellent mobile app (iOS/Android) that can be used in a any number of different ways. Educators are using it for assessing students, creating quizzes/games, professional development, and even for blended learning. Waypoint EDU - An innovative new iOS app that uses augmented reality to let educators create scavenger hunts or geocaching. Typing Agent - A great web based typing/keyboarding tool for grades K-12 w/ lots of features such as: multiplayer games, certificates, type-to-code, and more. Khan Academy Kids - A new iOS/Google Play app for finding educational resources for Math, Reading, Writing, and more. ClassPad - Is a free digital scratch paper that students can use to solve all their Math problems. Jab! Jab! is a new game for keyboarding/typing from RoomRecess, one of my favorite sites around for Game Based Learning. 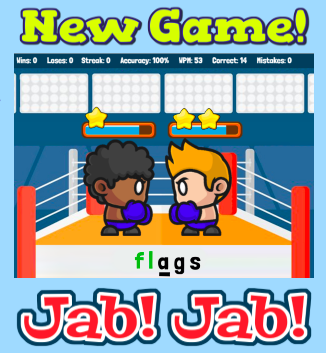 The goal of the game is simple, select between: home row, top row, or bottom row, and then type the letters to throw a punch and try to knock out your opponent before they do. 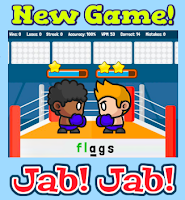 I highly recommend checking out Jab! Jab! by clicking here!!! Pexels is a nice site where people can find free "stock" videos. 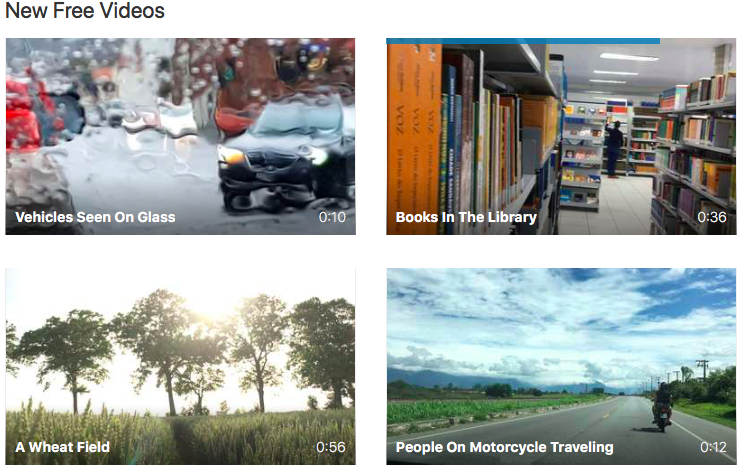 All videos are curated and tagged by subject and can be downloaded. I highly recommend checking out Pexels by clicking here!!! Thanks to TechChef4U for the heads up. 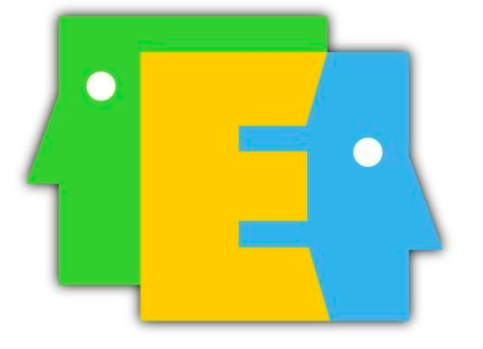 Finally, Project Pals has a wide range of resources for educators such as: lesson plans, eBooks, and more. Teachers can find a vast array of common core aligned already created projects to help integrate Project Pals intro the classroom. Educators can even use existing rubrics or create their own to use w/ detailed reports generated by Project Pals making it easy to differentiate instruction. I highly recommend checking out Project Pals by clicking here!!! 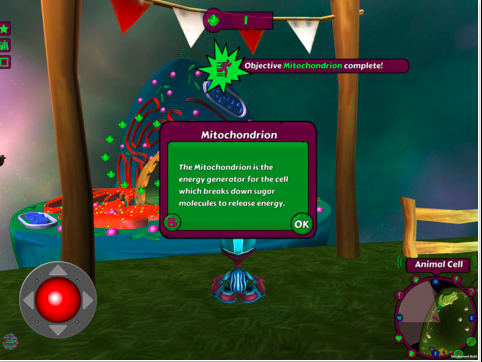 Teachers can sign up for a free license by clicking here!!! For another detailed review check out Class Tech Tips by clicking here. TypeTastic is an excellent K-12 site for students learning how to Type/Keyboard. TypeTastic's School Edition has an educational portal that allows educators to track, monitor, and assess student progress. This is a fun and great way to integrate technology into a classroom's curriculum. 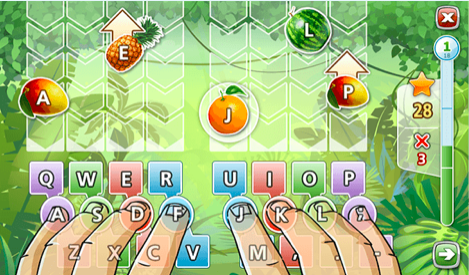 TypeTastic uses over 400 innovative games, activities and drills to help teach and reinforce keyboarding/typing skills. Explore the Keyboard: Unique keyboard visualization splits the letters into nine color-coded groups so students see the keyboard like a map and can quickly find the correct letters. All Fingers Aboard: These games are designed to challenge kids to learn the fundamentals of typing. All sections are centered on finger movement, often first separated into either right- or left-hand activities, followed by more challenging games that use both hands. Ready, Set, Type! : Keyboarding activities take kids on an adventure through underwater coral reefs, thick jungle vegetation, and serene beach vistas to collect words and letters, with the goal of typing simple words and sentences. Master Those Keys: In the final step, students dig into the secrets of fluent typing, challenging themselves with more complex words, building up their typing speed, and discovering numbers and symbols. TypeTastic School Edition starts at $99 for 1 year for a class of 40 students. TypeTastic is offering a special 60-day free trial to Technology Tidbits readers! To get started, click here. I highly recommend checking out TypeTastic!!! For more information from their blog click here. *TypeTastic is an advertiser of Technology Tidbits. From their site.... Sometimes we use the seasons and holidays around us to engage our students in the skills we are teaching. Whether you want to use these activities just for fun, or if you have lesson plans centered around the winter holidays, Storyboard That is an excellent resource. Check out some of the great things your students can do! 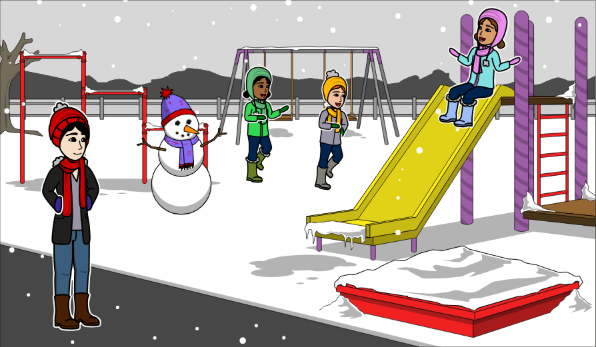 I highly recommend checking out Storyboard That for Winter Classroom Activities by clicking here!!! Storyboard that is an advertiser of Technology Tidbits. I highly recommend checking out Extempore by clicking here!!! Sketch Nation is a wonderful free app (iOS/Android) and website for creating games. Sketch Nation reminds me of Pixel Press Floors but w/out the paper. All a student has to do is select their category of game (i.e. platform, jumping, etc) then draw their backgrounds/characters/items and let Sketch Nation do the rest. 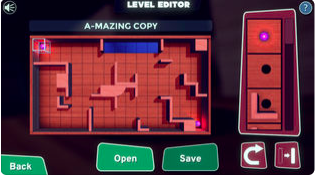 The advanced level editor will help students create more complex games and work on their STEM skills. 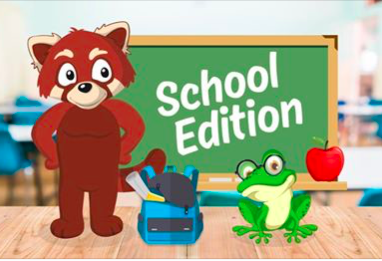 Sketch Nation even has a nice section for education w/ a collection of games and lesson plans created by educators/students. - Custom movement / coding - You can now learn the basics of coding by setting custom movement for enemies. You can specify exactly how enemies move by setting each step of movement, such as “Go left”, “Go right”, “Start over”, etc.. We will add more customization like this in upcoming releases. - Comments - You can now comment on online games created by other users. See what other users think of your games and give feedback to other game creators. All the comments will be checked by an admin before they are viewable to others. - News feed - You can now see what users are doing in your games. You’ll see news feed items for new high scores, new comments, when your games have been favorited or featured. You’ll also be able to see when games and comments you have submitted have been approved or rejected. 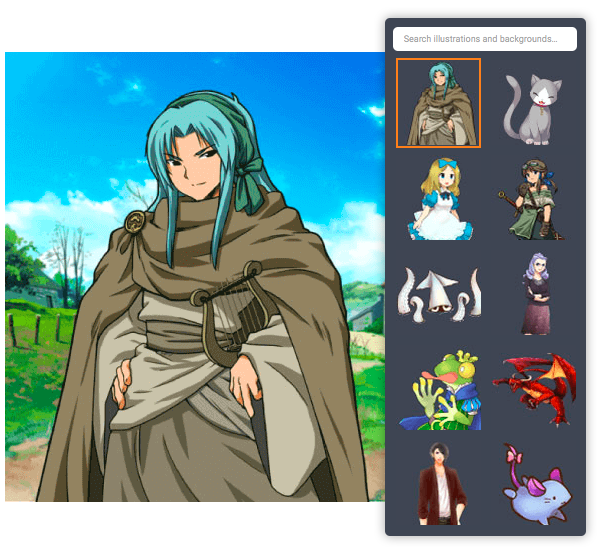 - Art gallery - You can now re-use art you have previously drawn when creating a new object. Local games will be limited to art stored locally, while online games will be able to access all the art you have created for your online games. - Pushable blocks - You can now create obstacles that can be pushed by the player. This opens up a whole new way to design levels by requiring the user to push obstacles in order to solve puzzles. - New ammo settings - You can now create non-moving ammo that appears directly in front of the player. This can be used to let the player wield a weapon such as a sword. - New dying animations - New dying animations for enemies like “Cut”, “Flatten” and “Fall over”. I highly recommend checking out Sketch Nation by clicking here!!! For my Pinterest board on Programing/Coding click here. 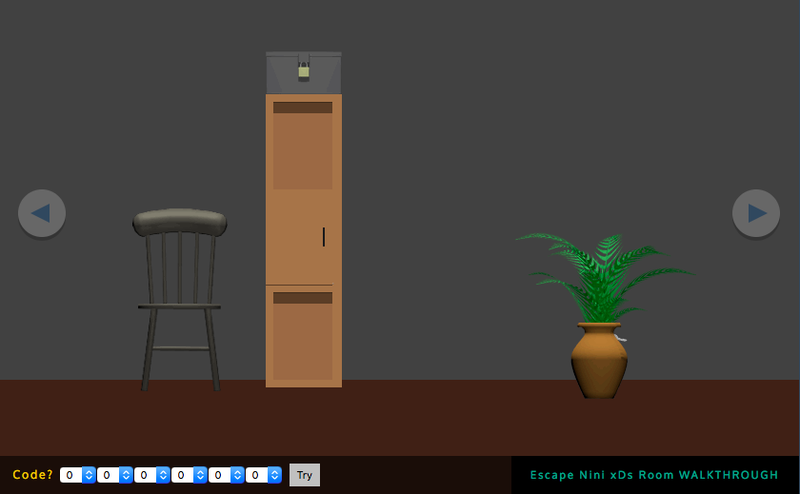 Room Escape Maker is an interesting site that I just found out about from Ozge Karaoglu's wonderful blog. This is a fun way to introduce game based learning into a classroom where students can play existing escape room games or make their own. The concept is just like those popular escape rooms where people work in teams to solve clues to escape their before time expires. I highly recommend checking out Room Escape Maker by clicking here!!! The Writing Bee is back and this year it promises to be another global event with over 100 school districts participating and results being presented at this year's SXSW EDU Conference in Austin, TX! The 2019 Writing Bee kicks off this February and will feature American Writer, filmmaker, poet, activist, educator, Academy Award nominee, and former Black Panther Party member, Jamal Joseph. Professor Joseph will serve as The Writing Bee's featured Guest Author providing guidance and inspiration to all participating students throughout the event as they create original spoken-word oriented content. There is so much excitement about this Bee that SXSW has asked Professor Joseph to present the results. 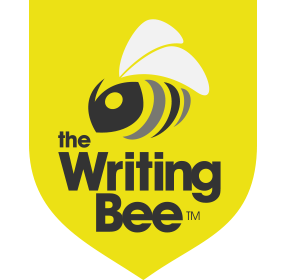 This is the third consecutive year of the Writing Bee, which is free to schools and hosted on BoomWriter's unique content-generation platform. District/school-based Writing Bee Qualifying rounds consist of three sections, with each one open to all students and initiated by a prompt provided by the featured guest author to help guide students. Once they have completed their writing sessions, students again log in to BoomWriter to review the anonymous submissions of fellow participants and cast votes for their favorites. A winning submission is identified, and the process continues until The Writing Bee is completed. Winners and top vote-getters of the Qualifying rounds will be invited to participate in The Writing Bee Finals. The Finals will consist of "knockout rounds" in which only the section winner and top vote-getters advance to the subsequent rounds and a chance to become The 2019 Writing Bee Champion. Christ Twyman, CEO and co-founds of BoomWriter Media, Inc., said, "At BoomWriter, we've always taken great pride in our products' ability to connect with all types of students regardless of whether they are passionate or reluctant writers. 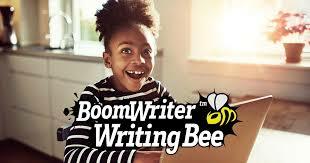 By partnering with Jamal Joseph and having students write entries that are intended to be spoken out loud, I know both BoomWriter and The Writing Bee will have its greatest impact ever!" The Writing Bee Qualifying rounds will take place in participating schools and/or districts any time between February and May with The Writing Bee Finals scheduled to be conducted in June. To learn more and register your students for free, please visit TheWritingBee.Org or email megan@boomwriter.com. You never know, the next Writing Bee champion could be one of your own students and there's only one way to find out. Good luck! NameCoach is a wonderful web service that educators are using to learn student's names and pronounce them correctly. This is especially useful w/ commencement/graduation ceremonies on the horizon. The way this works is simple as a teacher creates a name/web page and then has the student's speak their names. The audio gets embedded into a page and a user can access them all on one page at anytime. Also, NameCoach makes it very easy to share recordings and keep track of student's name/email. It's easy, accurate, and 100% safe for schools to use. I highly recommend checking out NameCoach by clicking here!!! *30hands Storyteller Web is $59 for the whole classroom through the end of Nov, w/ a FREE training webinar. 30hands Learning is the excellent company for creating an innovative LMS (Learning Management System) as well as the popular mobile iOS app that is ideal for digital storytelling 30hands Pro. 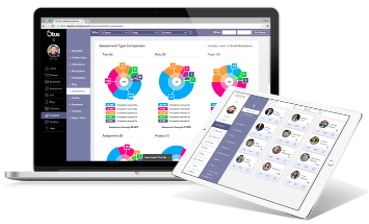 The 30hands community is a perfect cloud based solution that allows educators to: manage/track students, hand in/out assignments, schedule events, and more. While the mobile is being used in education for project based learning, digital storytelling, and more. For more info on how your school can participate, email info@30hands.com. 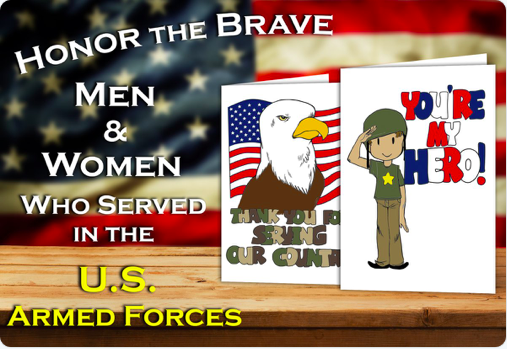 Join our newsletter here: http://30hands.com/newsletter. SpeakerDeck is a neat site I found out about from Larry Ferlazzo's blog for making slideshows/presentations. All a user has to do is upload a PDF, and SpeakerDeck takes care of the rest. Best of all, a user can share a SpeakerDeck via a link or social media, or embed it into a site/blog. I highly recommend checking out SpeakerDeck by clicking here!!! BibMe - Not only does BibMe check for plagiarism, it checks for grammar allows for proper citation to prevent stealing other's work. EduBirdie - A free tool where a user can upload or copy/paste text into the submission field, to receive a report detailing what words and phrases are unique or "stolen" w/ listed sources. Grammarly - A great site where users can check for plagiarism and get recommendations for citations on sources that need to be properly credited. Noplag - A excellent online plagiarism, spell, and grammar checker for teachers and students. OuiWrite - An innovative all-in-one site that checks for plagiarism, but acts as a writing assistant for student's papers automatically searching/citing sources as they go along. PaperRater - A nice site for students want to check grammar, spelling, and plagiarism. PapersOwl - A convenient free plagiarism checker that students can use to detect their work and get detailed reports. PlagTracker - A wonderful site for uploading a document and then scanning for plagiarism w/ accurate reports. 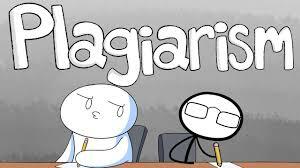 Plagiarisma - A simple little site for pasting in text to check for plagiarism. QueText - A fantastic site where a user can copy/paste or upload text to detect plagiarism and generate detailed reports. Money Math Duel is a fun iOS game for helping students w/ Math and learn how to make change. What makes Money Math Duel so unique as it lets kids play against each other while making it "fair" by allowing allowing players to customize their problems. This lets students equalize the playing field by determine how much money they want to make change for. I highly recommend checking out Money Math Duel by clicking here!!! Reading Racer is a new iOS app that I just had the pleasure of reviewing. This is an excellent easy-to-use app that uses the mobile device's microphone to "listen" as a student speaks the words on the screen. 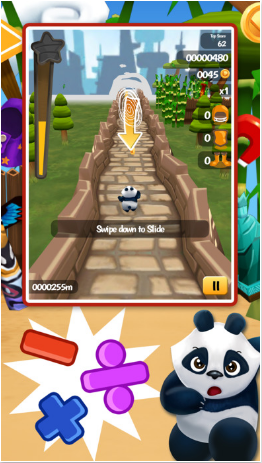 This is really innovative and separates Reading Racer from other educational apps on the market. Storyboard That the excellent learning tool that educators are using in a wide variety of ways (i.e. project based learning, graphic organizers, timelines, storyboard, etc.). 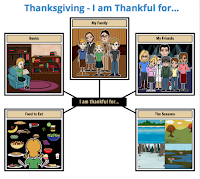 Storyboard That activities are great for telling the story of Thanksgiving, labeling different items, telling what you are "thankful" for and more. Best of all, a teachers can copy the storyboard and use or edit it for creating their own template. Math Castle is an excellent iOS app for basic Math skills (i.e addition, multiplication, etc.). 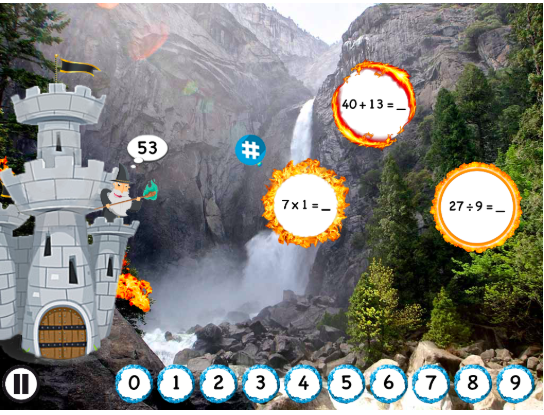 Math Castle follows a fun fantasy theme, as students try to defend their castle from a dragon by answering equations. 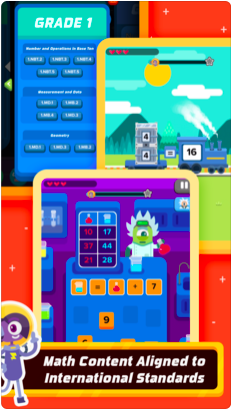 Also, Math Castle has over 80 levels and generates details reports to help track student progress, This is a great app to integrate game based learning into the classroom as well as help differentiate instruction. I highly recommend checking out Math Castle by clicking here!!! Night Zookeeper is an excellent new site for students to help them w/ their Writing skills through fun interactive lessons/competition. Also, it has an educational portal that allows educators to: assign lessons, track student progress, and assess their work in real-time. This makes it easy for teachers to differentiate instruction and implement project based learning in their classroom. Starting tomorrow on November 1st, Night Zookeeper is launching their latest International Writing Cup for 2018. This Writing challenge/contest will have students writing in three different phases. Stage 1: Instructions - The students will write a set of instructions how to write an excellent adventure story. Stage 2: Report - The students will create a lead character for the adventure and write more words describing them w/ an abundance of adjectives. Stage 3: Adventure Story - The students will then use their instructions and report to help them writing an amazing adventure story. The competition will end Nov 30th and their will be one winner for each age/grade level 6-8, and over 9. Finally, the prizes will range from team trophies, individual trophies, and badges and certificates. For more information on Night Zookeeper's International Writing Cup 2018 click here!!! Biteable is an excellent site for creating stunning presentations/slideshows. 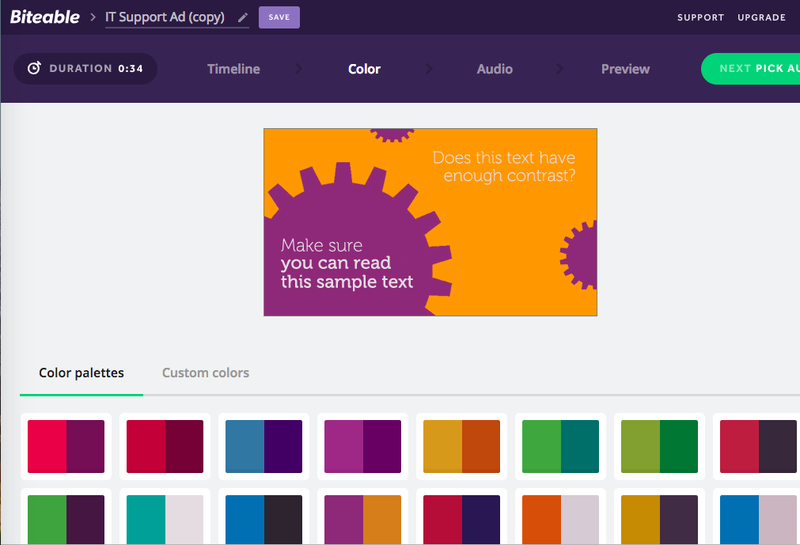 All a user has to do is select a template (or create one from scratch), select a color scheme, and add audio to create a beautiful product. Best of all, a educator can publish/share a presentation via unique URL or embed it into a site or blog. Also, a user can set their presentation to public or private to help abide by CIPA/COPPA compliance. Best of all, teachers can use Biteable in a wide number of ways such as: project based learning, digital storytelling, introducing a topic, and much much more. I highly recommend checking out Biteable by clicking here!!! 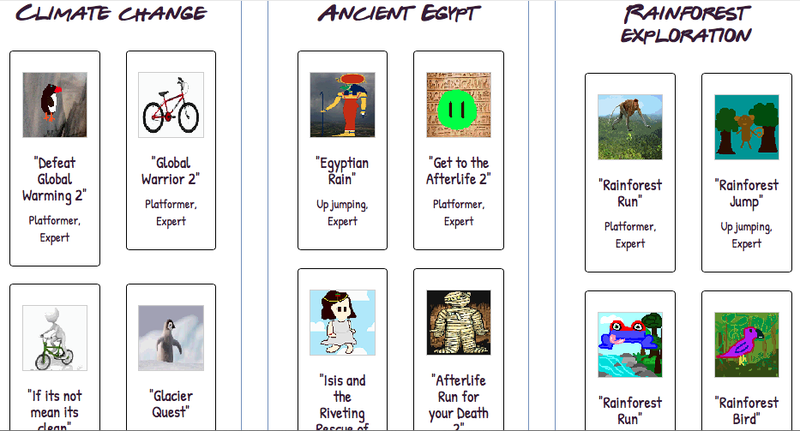 GameBuilder is an excellent site for game based learning that I just found out about from Larry Ferlazzo's blog. Not only can an educator find any number of games on a wide range of subjects they can also select a template and create their own game. Once a game is created it can then be shared w/ others via a unique URL. I highly recommend checking out GameBuilder by clicking here!!! Unhangout is an interesting new site from MIT for creating events/backchannel chats, that I just found out about from Larry Ferlazzo's blog. This is a great way for educators to host a backchannel that can be used in any number of ways in education, from assessing learning to professional development. There are lots of options to like such as: nice user interface, hosting videos, private invites, breakout sessions, and more. I highly recommend checking out Unhangout by clicking here!!! Hippo Video is an excellent web tool for educators or students to use to create stunning digital videos. This is all done via the web w/ a easy-to-use interface. 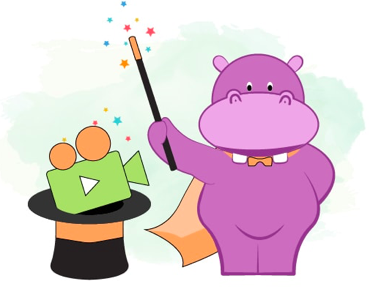 Educators are using Hippo to create explainer videos (screencasts), flip a lesson or classroom, assess student's understanding, and even differentiate instruction. Finally, a finished video can be shared via Google Classroom, YouTube, and more and Hippo Videos can be used to teach any subject for any curriculum. I highly recommend checking out Hippo Video by clicking here!!! Thanks to Technology & Learning for the tip. 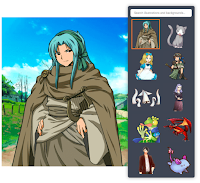 Elementari is a wonderful new site for digital storytelling and project based learning that I just found out about from Larry Ferlarzzo's excellent blog. 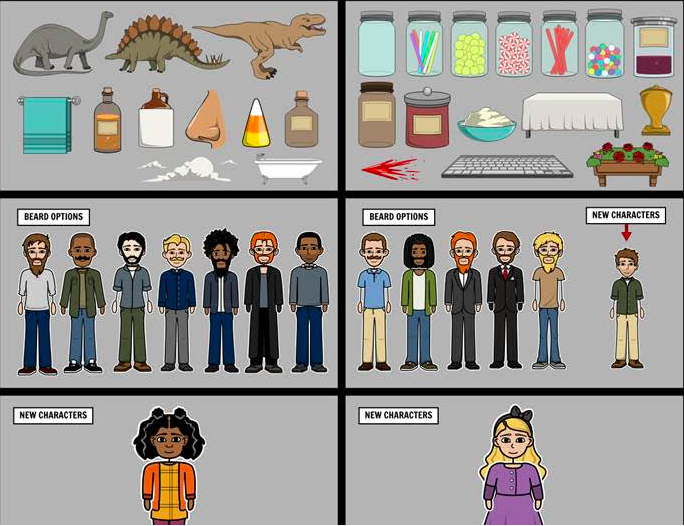 Educators are using this easy-to-use tool to have students create interactive digital stories, digital portfolios, presentations, and even choose-your-own-adventures. Stories can contain, custom made illustrations, sound effects, or even have a user record their very own audio. Best of all, a teacher can customize an already created project as a template to help integrate into their own classroom. Finally, a finished story can be embedded into a site/blog to help schools abide by COPPA/CIPA compliance. I highly recommend checking out Elementari by clicking here!!! * An educational portal is in the works so educators can track, monitor, and assess student work. 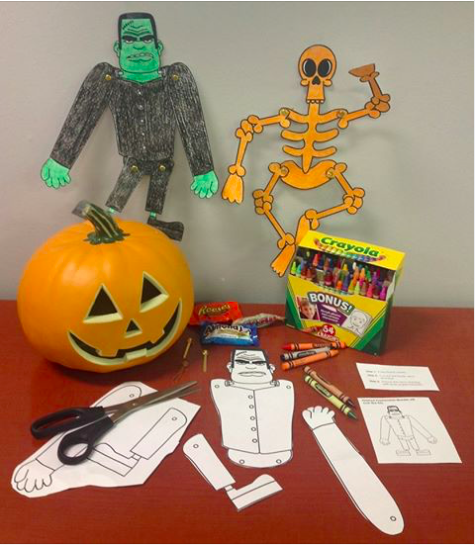 Be sure to check out STW for all their Halloween ideas such as: educational games, poems, activities, and more!!! Super Teacher Worksheets is one of the best sites around for finding educational resources on a wide range of subjects. Educators can find, worksheets, printables, puzzle generators and more. Also, they are constantly updating their site w/ more resources all the time and recently released new crossword puzzle worksheet generator. SOLE is a "self organized learning environment" that is a wonderful app for mobile learning and integrating technology into the classroom. The way this works is by a simple process: asking a question or selecting one, investigating/collaborating w/ others, and review. A SOLE session can last up to 45 min or one class period and is a great way to generate brainstorming and creative thinking. Finally, SOLE has a wide range of educational resources such as: lesson plans, tutorials, rubrics, and more. Spin Spell is a fun iOS game for Spelling that reminds me a lot of Marble Madness. This game has users trying to spelling words while controlling a ball to roll over the correct letters. 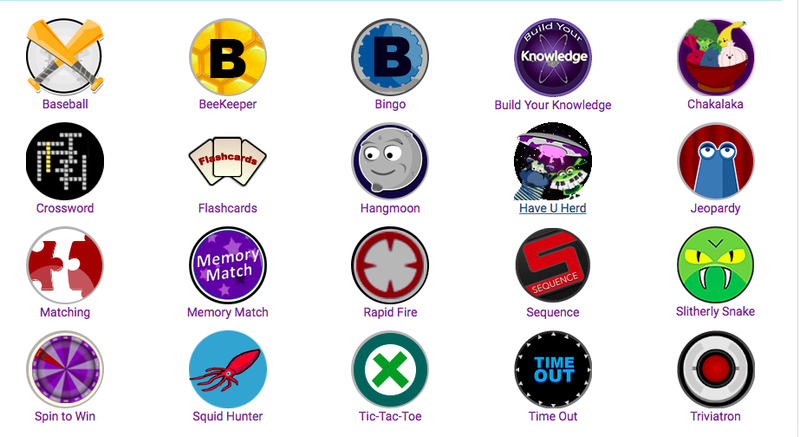 Spin Spell has over 25 levels and over 30 spelling lists for students to play through. Best of all, educators can import their own spelling lists to help students practice their words from class. I highly recommend checking out Spin Spell by clicking here!!! Edthena is a wonderful site/app for professional development that uses an innovative "video coaching" approach. This is done through a very user-friendly browser based interface where educators can record themselves right from the web (i.e. they can upload recorded videos as well). 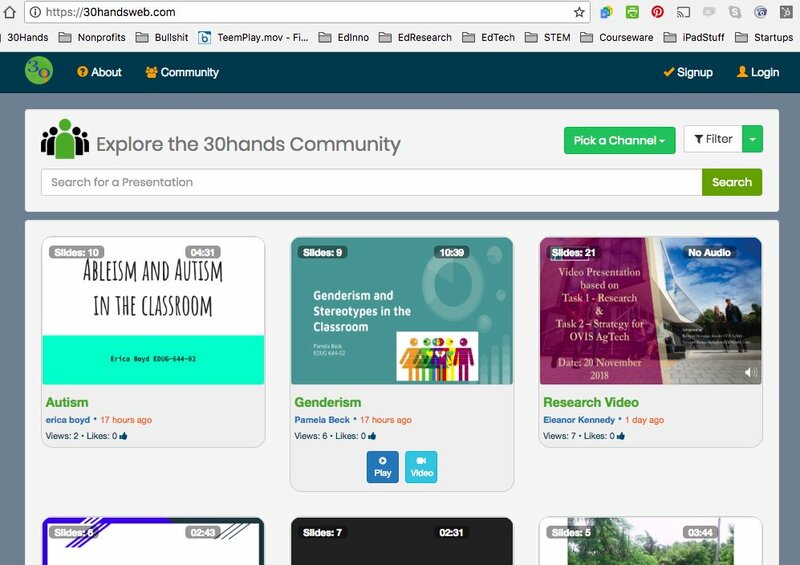 Once the video is recorded/uploaded they can share them w/ other educators for collaboration, tag them, add comments, and more. This is ideal for professional development as it helps highlight best teaching practices, gives educators a safe/comfortable place to learn, and makes it easy for self reflection. Finally, Edthena's coaching/learning platform tracks and monitors teachers activity and progress while generating detailed reports, making it a vital tool for tech directors, tech integration specialists, and directors of curriculum and instruction. I highly recommend checking out Edthena by clicking here!!! For another great review check out Class Tech Tips.